We provide complete Optical BRAND DESIGN AND SIGNAGE SOLUTIONS from concept to creation. Your Brand name to its final packaging and display. We provide all kinds of print design solutions and print collaterals. 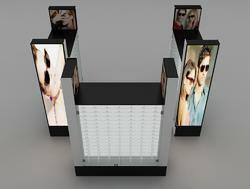 Logos, Catalogs, Brochures, Branding, Advertisements, Signages, POP displays. Our presence is well established worldwide. Our designs are of International standard and Internationally competitve in price. We are very experienced in Optical Design Solutions. We provide Complete Optical Brand Design & Branding Solutions from concept to creation. ie: Your brand name to its final packaging and display. Any kind of print design solutions and print collaterals. Logos, Catalogs, Brochures, Branding, Advertisements, Signages, POP displays. We also provide Optical Brand Design Solutions on Turnkey Basis. These can be customized as per the needs of the clients. Complete Optical Brand Design for Eyewear & sunglasses. Make your own brands with an international look. We provide complete design & branding solutions. Your Brand name to its final packaging and display. Any kind of print design solutions and print collaterals. 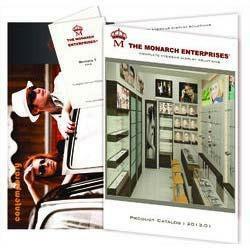 Logos, Catalogs, Brochures, Branding, Advertisements, Signages, POP displays. Looking for Optical Branding & Design Solutions ?